This week my youngest son (7 years old) came home from school after making Pepparkakor in his first cooking lesson. He declared we have to make them at home at the weekend as they were delicious and he wants to make a giant one for his headteacher. Now that sentiment, whilst cute as a box of puppies, filled me with mixed emotions. The first being what the hell are they? Followed closely by, that is the head teacher who only put me in second place in the school bake off, after my unbeaten run of a couple of years winning. I’m not bitter, honest, ok maybe a tiny bit! However it is a church school and it is Christmas so I will mentally move on from my defeat although I will hide the largest cutter, that will teach her :-). Firstly a little research was needed, Google and Pinterest here I come. I soon discovered that these are Swedish ginger snaps or in good old Blighty, a thin version of the ginger nut. One of my all time favourite biscuits. I tweaked a recipe, dropping the cloves as that is one of my least favourite spices and just went for ginger and cinnamon. Being Christmas, out came the star cookie cutters. Normally a 3 inch circle cutter is used and you should get about 24 out of the mix. 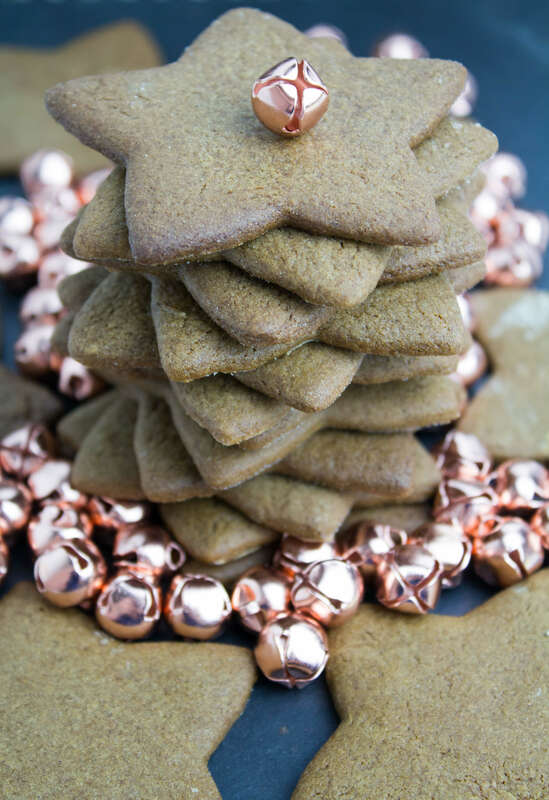 The smell of warm ginger and cinnamon cookies wafting through the house is a fantastic thing and better than any Christmas air freshener in trying to remove the lingering after effects of brussel sprouts! These are the perfect cookie to make with the kids, super easy and quick to mix up the dough. The kids can go crazy with any cookie cutters you have at hand. 2. Beat together butter and sugar until light and fluffy with a wooden spoon or in a stand mixer with a paddle attached. 3. Add in beaten egg and treacle and beat together. It does not matter if it looks a little separated. 4. Sift in flour, ginger, cinnamon, bicarbonate of soda and a pinch of salt and stir into a soft dough. 5. Wrap in cling film and chill in the fridge for 3 to 4 hours, until firm. 6. Line your baking sheets with baking parchment or a silicon mat. 7. Liberally dust your work surface and roll out to about 3 mm. 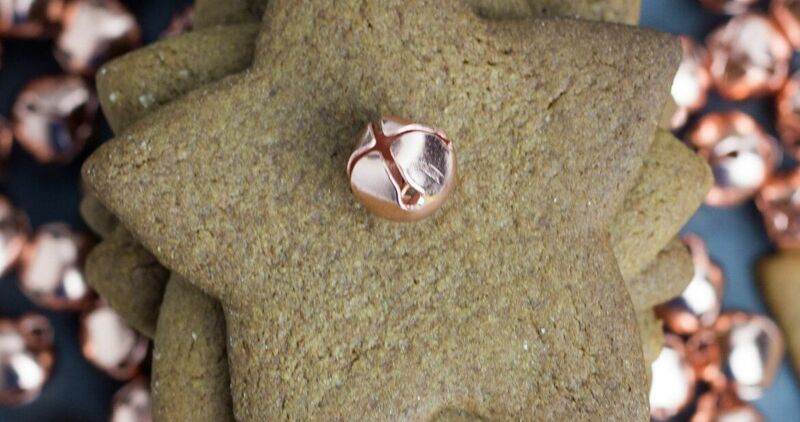 Cut out with a 3 inch round cookie cutter or any shape cutter you fancy. 8. Bake for between 8-10 minutes until browning on the edges. 9. Remove from the oven, let cool on the tray for a few minutes, then transfer to a wire rack to cool. Keep in an airtight box. 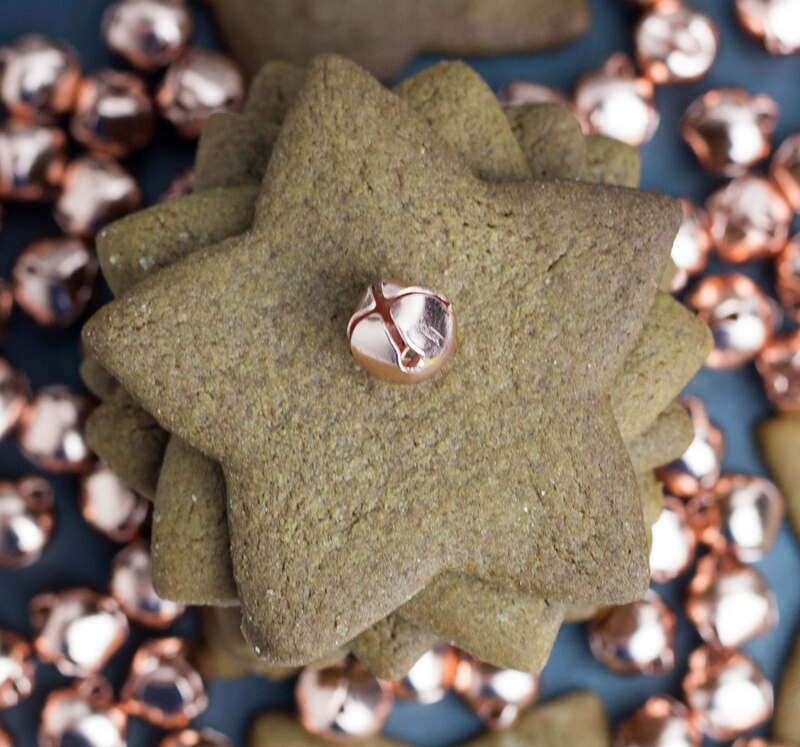 These delicious cookies are Swedish ginger snaps or in good old Blighty, a thin version of the ginger nut. One of my all time favourite biscuits. I tweaked a recipe, dropping the cloves as that is one of my least favourite spices and just went for ginger and cinnamon. Beat together butter and sugar until light and fluffy with a wooden spoon or in a stand mixer with a paddle attached. Add in beaten egg and treacle and beat together. It does not matter if it looks a little separated. Sift in flour, ginger, cinnamon, bicarbonate of soda and a pinch of salt and stir into a soft dough. Wrap in cling film and chill in the fridge for 3 to 4 hours, until firm. Line your baking sheets with baking parchment or a silicon mat. Liberally dust your work surface and roll out to about 3 mm. Cut out with a 3 inch round cookie cutter or any shape cutter you fancy. Bake for between 8-10 minutes until browning on the edges. Remove from the oven, let cool on the tray for a few minutes, then transfer to a wire rack to cool. Keep in an airtight box.